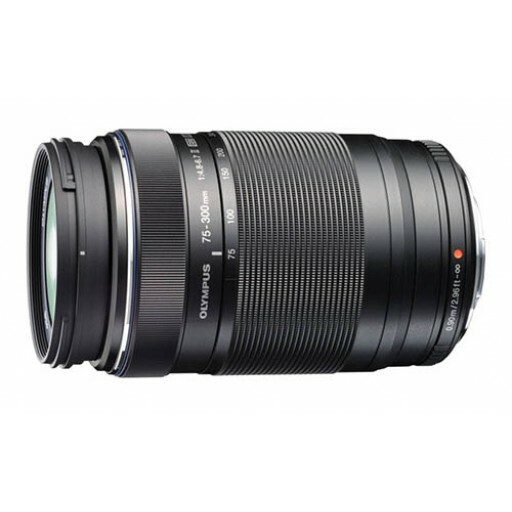 Olympus Pen 75-300mm (150-600mm Equiv) Black Lens The M.ZUIKO DIGITAL ED 75-300mm f4.8-6.7 with a 35 mm equivalent of 150-600mm is the world's smallest and lightest 600mm super telephoto lens. Weighing only 15.17 ounces and measuring 2.76 by 4.57 inches, this lightweight lens delivers excellent portability and outstanding image quality when paired with the award-winning Olympus PEN® cameras. The 75-300mm's rear focusing mechanism is comprised of a single-element unit, to enable remarkably fast and nearly silent HD video recordings with sound.